Senator Alex Padilla of Pacoima introduced the bill, which was unsurprisingly supported by Google lobbyists, and says he believes the vehicles could ultimately improve public safety. According to a 2006 study from the Department of Transportation, driver error contributed to nearly eighty percent of automobile accidents. Driverless vehicle proponents note that computers will not get distracted, grow tired, or violate traffic laws. However, others note that machines do fail and the computer only understands situations that it has been programmed to recognize. Even if the computer is filed with rules and data, the potential for an unknown is always there. University of Washington assistant professor of law Ryan Calo cited the example that a computer may know to avoid colliding with baby strollers and shopping carts, but might not make the ideal choice if presented with choosing between hitting the two. He added that the vehicles might be an overall improvement but still warned that unforeseen problems could pose a major problem in terms of public perception and acceptance. Another researcher, Bryant Walker Smith of Stanford’s Center for Automotive Research, concluded that the driverless cars would need to travel without incident for over 725,000 miles in order for researchers to conclude with 99% certainty that the new cars crash less often than conventional automobiles. He said this skyrockets to require 300 million miles if the focus is on fatal crashes. In contrast, Google’s cars had only logged about 1,000 completely unassisted miles and some hundreds of thousands of miles with occasional driver assistance. The Chronicle article also notes that these vehicles might pose big questions for the DMV as it develops rules to govern driverless cars. Likewise, courts and legislatures will have to tackle difficult questions such as whether an accident caused by a driverless car should be blamed on the car’s occupants at the time of the crash or the company who manufactured the car and programmed the computer system. 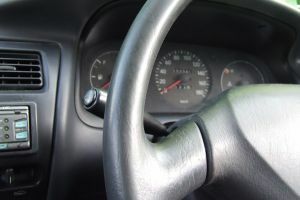 Privacy law issues also arise since the vehicle computers will need to collect and keep certain information in order to function well. Our San Francisco personal injury attorney, Greg Brod, believes in being the best possible advocate for his clients. As the law evolves, The Brod Firm will continue to stay informed and we will bring this knowledge to every one of our clients. Call if we can help you seek compensation after an injury.